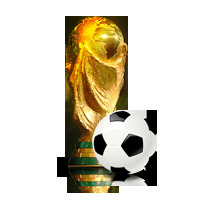 The 2014 FIFA World Cup features 32 nations divided into 8 Groups, with only one “favorite” per group, in theory. However, after the draw, some groups did not end up as equal as others. Of course, this led to cries of conspiracy from some sides, but for serious online sports bettors, the only thing that matters is that there is some serious coin to be made from betting on the Group stage. Check out our rundown of each Group below. The first Group in the 2014 FIFA World Cup features the host nation Brazil, one of the countries most experts believe will at least make the semi-finals, thanks in part to their passionate play on their home turf. Add in Cameroon and Croatia, who both can play, and a Mexican team who uncharacteristically only qualified in the final game and you have a very competitive group. Well, hopefully the Australians take a few minutes to buy some souvenirs, because the “Kickaroos” sure aren’t advancing in Group B. Featuring defending champions Spain, a squad that once again should be considered the big favorite to win the 2014 FIFA World Cup, Group B also features a dangerous Chile squad and always underrated Netherlands team who should also advance. Group C is not considered a threat. While Columbia has been playing well in the past several years, they don’t have a recent history of world success. Greece and Cote d’Ivoire are not considered favorites to advance, while Japan features a truly skilled and dangerous team, but one that has problems matching up against the more physical European squads. Affectionately known as the “Group of Death”, things look bleak for the tiny Central American nation of Costa Rica, as they are up against three former World Cup winning nations in Uruguay, England and Italy. While the Italians and English are the best known due to their national leagues, Uruguay is not a county bettors, or competitors, should overlook. A wide-range of nations fill Group E and while it might be easy to overlook France, Switzerland, Ecuador or Honduras, each is a capable team that could rattle cages come the second round. Switzerland was one of the first European nations to qualify, while France was one of the last, but talent wise, Les Bleus are as good as anyone. Considered by experts to be one of the weakest groups, Group F features Argentina, Bosnia/Herzegovina, Iran and Nigeria. While Bosnia constantly faces tough competition, many experts do not put them at the level of their European peers. Argentina should advance with ease, while Nigeria is the safe bet for a second place finish as Iran is not an upper-echelon competitor. The United States sure has their work cut out for them in Group G. The US squad finds itself competing against a tough Ghana squad, a Portugal team that boasts the Golden Boot winner for 2013 in Christian Ronaldo and one of the odds-on favorites each year – and home to their own coach Jurgen Klinsmenn- a strong, tough Germany squad. One of the most eclectic Groups, Group H features European nations Belgium and Russia, as well as African nation Algeria and the Asian stalwart Korea Republic (South Korea). While Korea could make some noise, most experts expect Belgium and Russia to simply overpower the other two. Still, expect at least one or two big upset matches from the two underdogs.